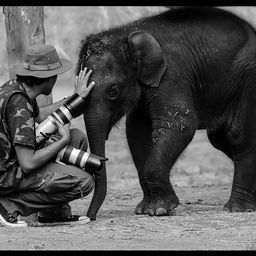 As a wildlife photographer, traveler and conservationist, I take personal interest to create awareness about our rich biodiversity and the important of preserving and protecting the endangered species. My travel to new places has opened up new initiatives for Sustainable Ecosystem, and urban people visiting places which is under severe environmental threat helps tourists to be more responsible and work for a social cause. Some of the programs that I'm working right now would preserve the ethnic tribal culture & tradition of the region, and simultaneously conserve the bio-diversity of the regions by creating awareness through tribal & wildlife camps. Date Uploaded: July 10, 2015, 5:24 a.m.